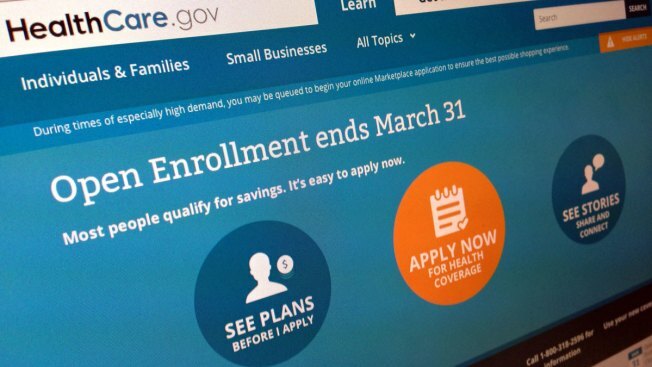 Will Nation's Top Health Insurer Kill Obamacare? This March 1, 2014 file photo shows part of the website for HealthCare.gov, seen in Washington. Thursday's news that the No. 1 U.S. health insurer, UnitedHealth Group, might withdraw from the health insurance exchanges mandated by so-called Obamacare legislation divided experts into two camps. On one side were critics of the Affordable Care Act, the proper name of the 2010 federal legislation, who said the news pointed to a fundamentally flawed system put in place by the law and could trigger a flight for the exits by other insurers, NBC News reported. On the other were advocates of the law and efforts to execute its policies, who blamed UnitedHealth's late, tentative entry into the market for the company's financial stumble. UnitedHealth Group CEO Stephen Hemsley stirred up the somewhat-dormant debate over Obamacare on Thursday by announcing that the company was lowering its earnings forecast for 2015 from between $6.25 and $6.35 a share to $6 a share for the year and expects to lose $275 million on its exchange business next year. Experts say that, in terms of the numbers, UnitedHealth dropping out wouldn't be huge. Exchange enrollees comprise less than 5 percent of UnitedHealth's business, Goldman Sachs analyst Matthew Borsch said in a research note.